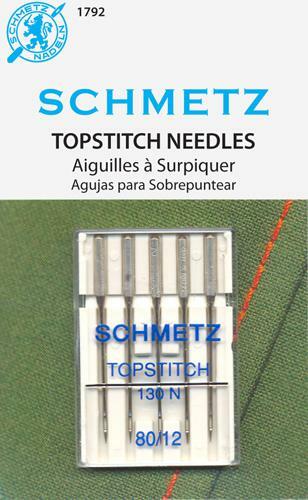 The very long eye 2mm in all sizes makes this the perfect needle for top decorative stitching with multiple threads and for replacing missed stitches in embroidery. System: 130 N. Size 1280. 5 needles per pack. Carded.